Floribunda rose growing shrub of the genus Rosa also known as Floribunda or Floribunda roses, Floribunda rose perennial deciduous plant and used as ornamental cut flower plant for the fragrant flowers, grow in temperate mediterranean or subtropical climate and growing in hardiness zone 6-10. Leaves color is green, shape elliptic that grow in pinnate structure. 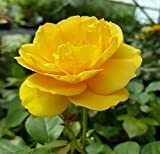 Flower color can be: white, pink, yellow, orange, cream, red or purple with multi petals 25+, mostly grow in cluster and rarely grow alone, the flowers are fragrant. 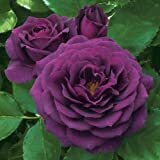 Lavender Veranda Rose Bush Reblooming Purple Fragrant Rose Grown Organic Potted - 35+ Petal Flowers! 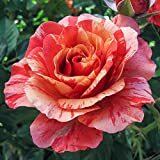 Is it necessary to graft in Floribunda rose?